HQ Series weld-on front shock kit for 98-05 Ranger. Includes shocks, upper and lower shock mounts and hardware. For use w/ CoolRide. Shocks are the BRAINS of your suspension! Nothing influences how your car rides and handles more than shock absorbers. If you could pick only one thing to change on your car to get the most overall improvement...upgrade the brains of your suspension…the shocks! It took us 16 years to find shock technology that we felt was worthy of our customers. After engaging the expertise of FOX Racing Shocks, we felt we were able to bring the already crowded shock market a product that was both unique and improved. 10.) Mono-tube design not only optimizes performance, but uses fewer components than a twin tube design. This is superior fluid control in its most simple and efficient form! The mono-tube design is the choice of nearly all high end and OEM and extreme performance shock manufacturers. Its main advantage is that a larger piston and a more efficient oil flow path leads to cooler operating temps and more consistent performance in extreme environments. 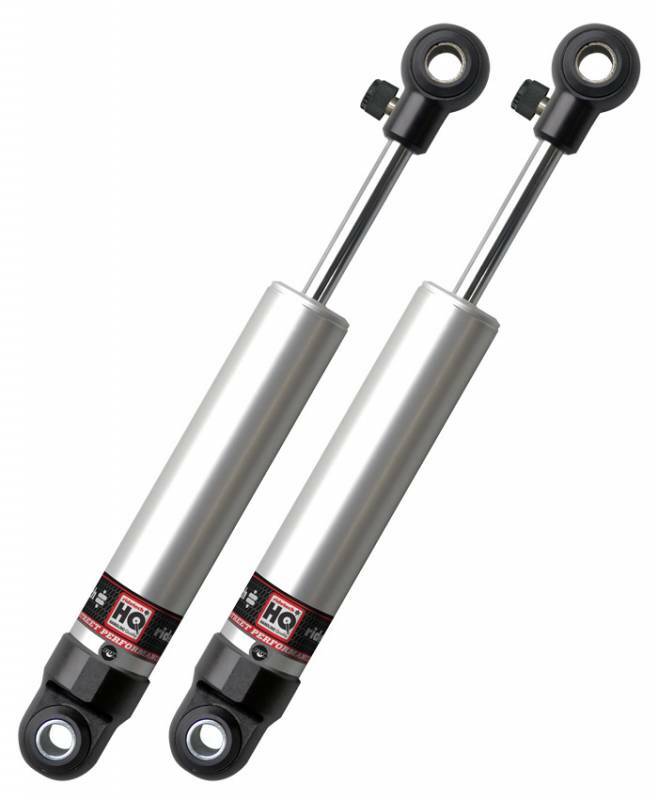 The HQ (handling quality) Series shocks adds rebound adjustment for the driver who wants to tune ride quality AND handling quality to their specific taste. A wide rebound adjustment range allows you to cruise down the road in plush comfort or firm up your suspension for those Saturday morning canyon roads!